My only complaint was that I didn't want the Colorado River rafting trip to end. The experience was truly "once in a lifetime" and totally awesome. I can't think of a single thing I would change about the trip. The guides were terrific. The food was incredible--imagine ice cream after dinner on the 4th night! The spaghetti and meat sauce with garlic bread was "to die for". 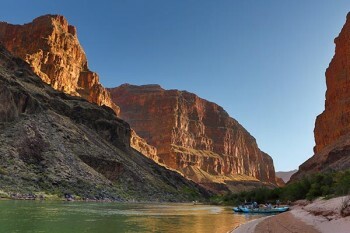 The feel of being on the Colorado River down in the Grand Canyon was worth many times more than the cost of the trip. The experience of running Hermit Falls and Lava Falls will never be forgotten. All-in-all, I highly recommend this trip. 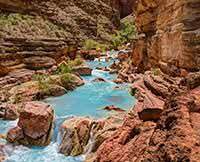 My son and I were so impressed with the trip that as soon as we got back we made reservations for Western River Expedition's 4-day trip through Cataract Canyon next year during what we hope will be peak flow period at the beginning of June.